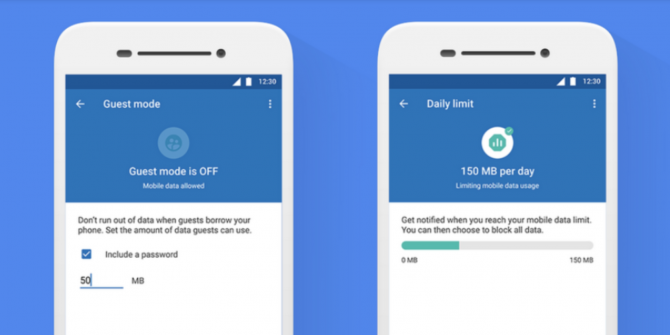 Google has added four new features to Datally, its data-saving app for Android. These new features are Guest Mode, Daily Limit, Unused Apps, and Wi-Fi Map, which, when taken together, should help people all of us stay under our mobile data limits. The new Guest Mode lets you remain in control even when handing your phone to someone. You set a limit before handing your phone to someone else, and that friend or family member will be prevented from burning through all of your precious data. If you’re more likely to burn through data there’s also Daily Limit. This lets you set a maximum amount of data you’re comfortable using each day. As you approach the limit you’ll get a warning, and can then decide whether to block data for the rest of the day. Today, my mom asked me if taking pictures on her phone uses up mobile data ? The Unused Apps feature informs you about those apps you’re not using but which are sucking away precious data regardless. Google claims 20 percent of data is lost in this way, so Datally now lets you uninstall these apps with the minimum of fuss. Finally, the new Wi-Fi Map is designed to help you find nearby Wi-Fi connections. Local Wi-Fi networks are plotted on Google Maps, allowing you to move within range of one if and when you want to stop burning through your mobile data. These new features make Datally an essential app for all Android users. Or at least those who care how much data they’re using, and which apps are responsible. If you’re a Richie Rich with an unlimited data plan then you can safely disregard this whole article. As good as Datally is, it isn’t the only way of cutting down on data usage. Here are some clever ways to reduce data usage, and some lesser-known tips for saving your mobile data. And if all else fails you could always dump your smartphone 5 Reasons Not To Buy A Smartphone 5 Reasons Not To Buy A Smartphone You may feel pressured into buying a smartphone, even though you're perfectly happy with your (so-called) dumbphone. Don't be. Read More altogether. Explore more about: Data Usage, Google.